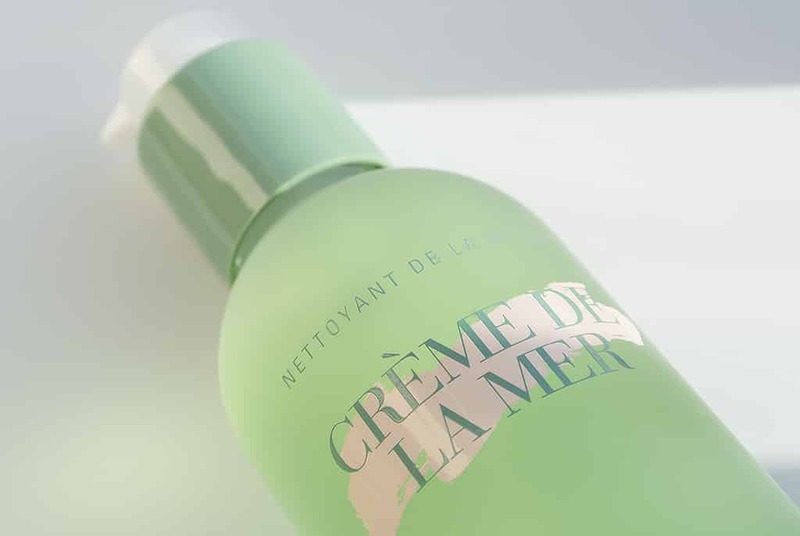 You’ll probably know by now that I am a pretty massive Crème de la Mer fan, for the reason being that they’re a brand who’ve successfully combined luxury with true efficacy. Until now I was using The Cleansing Foam, but not religiously and only when I was feeling particularly oily and in need of a deep clean. I’d say The Cleansing Foam is suited more to an oily skin type whereas I’d say The Cleansing Gel is great for normal to combination feeling much softer and gentler yet still thorough. 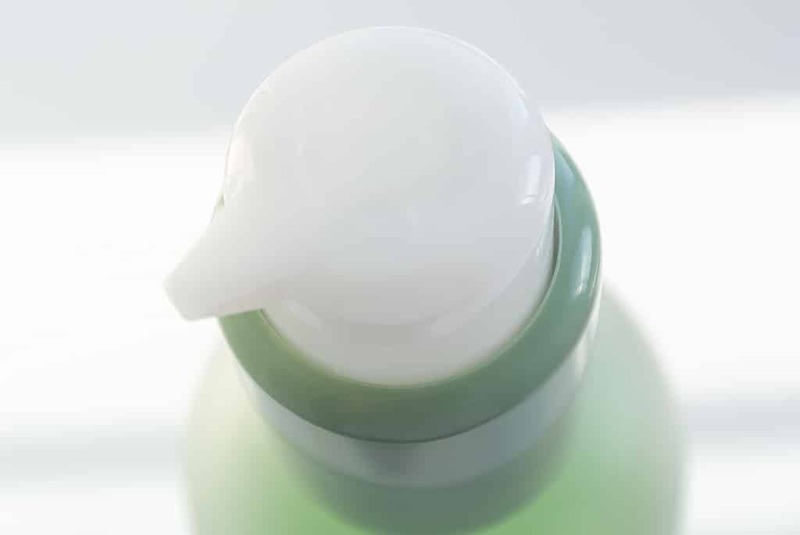 The Cleansing Gel relies on La Mer’s patented Deconstructed Waters and magnetised tourmaline, claiming to work in a similar fashion to facial galvanic treatments. As skin cells are positively charged, the negatively charged water allows effective delivery of product into the skin, or in this case, the enhanced removal of embedded dirt and debris. I’m not sure how far I’m prepared to go with this as I have done training in facial electrical treatments, but what I can tell you is this is a damn good cleanser. As my other half applied it, he immediately asked if it contained aloe vera. The answer is no, but it was a perfectly valid question as it does feel very soft and calming on contact with the skin. Using only the tiniest amount, it lathers into a beautiful and creamy later that smells of old, english soap. Unlike many foaming, gel cleansers, it’s very non-abrasive, leaving my face feeling soft and not gagging for moisture. My skin genuinely feels soft to the touch after use and it seems to really help balance my oily t-zone by removing excess sebum very gently. You can pick Crème de la Mer The Cleansing Gel up here from John Lewis and I believe you can get free delivery on this too! Do you use Crème de la Mer products? Do you have any favourites? I’d love to know so please drop me a comment below. This article first appeared on MANFACE written by Thom Watson. It was published on Tuesday 19th February 2013 and was last updated on Monday 3rd April 2017 at 3:52pm. It's categorised under Cleanse, Combination Skin, La Mer, Oily Skin where you'll find more related content. Great review Thom! I’ve just finished The Cleansing Lotion and that did a damn good job too at cleansing my skin, probably one of the best cleansers i’ve used to date! They have now been reformulated and the packaging have also changed so it would be interesting to see the difference in the new version. Thanks both of you for taking the time to reply. I will try them out and let you know how I get on. Great blog. I really understand your predicament, I often find myself in the same position too. I think in this case, I’d be tempted to recommend a foaming cleanser that uses a pump foam bottle rather than one that contains foaming ingredients and harsher surfactants. Dr Nick Lowe’s Purifying Foaming Cleanser (I reviewed it here a while ago) is just that, it’s surprisingly soft on the skin whilst using gentle chemical exfoliation to help dislodge dead skin cells. It’s designed for oily/combination skins that are prone to enlarged/blocked pores and/or blemishes. If you use harsher products to combat oiliness, your skin inevitably responds with, you guessed it, more oil. Using gentle cleansing and exfoliation is key here. To help with your pores, look at Clinique Pore Refining Solution Serum, it’s effectively helps to reduce pore size in the long term and balances oil, they actually do a great hydrator in the range that I’m yet to try. Let me know what you think / how you get on. Nik, can I give you a suggestion? If you are looking for lightly foaming cleanser try Ren Hydra-Calm Cleansing gel. If you want something in a pump bottle try Peter Thomas Roth Gentle Foaming Cleanser. If you want something in a bottle that is slighlty more foamy (but not as PTR) try Paula’s Choice Earth Sourced Gel Cleanser. All should be mild, but effective. :) Hope you find the right one soon! Michael, Slovenia. I actually dislike this product. Every time I use it and pump for the first time, the hardened part comes out of it. The next pump is ok. But after using it the next day, same thing happens. It must have been something strange with formulation. How strange! Luckily I’ve not had this happen to me, but thanks for the heads up. If there was a problem, were you not able to return it to the store? YOU DID SEE THIS ??? Hi David. Yes it seems every time I post a Crème de la Mer article, I’m sent a link to this tired old editorial. Firstly £520 buys you half a litre of the cream and you’ll also find that the markup margin is pretty standard across the industry. Ultimately the products are loved and enjoyed by many people who witness fantastic results.